While addiction to alcohol and other drugs is an equal opportunity disease, women are affected differently than men. Generally speaking, we women progress faster in addiction than guys. We also face different barriers in getting help and we recover differently. Transcendental Meditation (TM) is an essential tool in recovery. Unwinding after work with drinks may seem a great way to relax before heading home to responsibilities. There are many benefits to being a woman; one of them is not our alcohol tolerance. Our physiological differences accelerate the progression of addiction for women compared with men. The female body processes alcohol, and to varying extents other addictive substances, differently than the male body does. Women have less of a stomach enzyme that breaks down alcohol. This leads to greater blood alcohol concentration. Women also have more fatty tissue than men, so alcohol is absorbed more slowly and stays in the bloodstream longer, exposing the brain and other organs to higher concentrations of blood alcohol for longer periods of time. One drink for a woman can have twice the physical impact as one drink for a man. 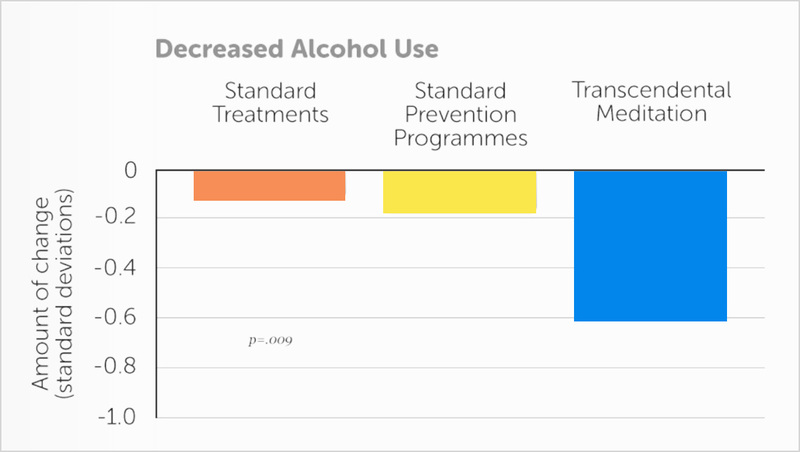 Transcendental Meditation also helps fight alcoholism; scientific studies show that those who practice TM are 8 times more likely to cut down on their alcohol consumption. It has been proven to be the most effective rehabilitation technique when compared to relaxation programs, interventions and other prevention programs. Women generally isolate themselves and internalize their emotional struggles. We are wired for relationships. TM for Women is here to help you with your recovery. 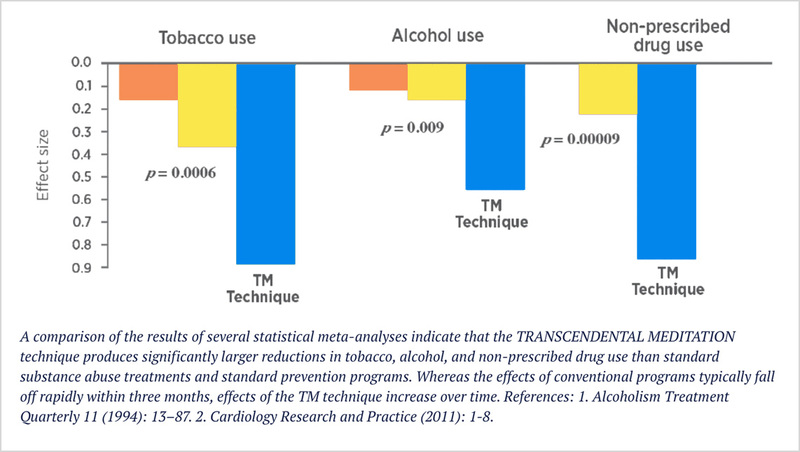 Smokers are more likely to kick the habit once they start practicing Transcendental Meditation. According to one study, more than 50% of smokers quit 2 years into their meditation routines. Women that fall prey to addiction are simply people that initially just wanted to feel better, to reduce pain. Join our Community.